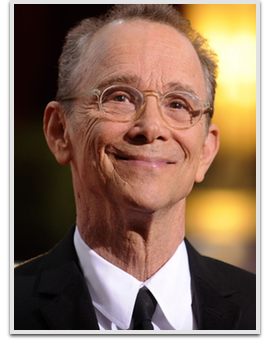 Joel Grey is an actor, singer, dancer, and photographer. He is best known for portraying the Master of Ceremonies in both the stage and film versions of the Kander & Ebb musical Cabaret. He has won the Academy Award, Tony Award, and Golden Globe Award. He also originated the role of George M. Cohan in the musical George M! in 1973, and the Wizard of Oz in the musical Wicked. He also starred as Moonface Martin in the Broadway revivals of Anything Goes, and as Amos Hart in Chicago.